The Memorial Middle School eighth-grade band received superior ratings at the 2017 Region 28 Middle School Concert and Sight-Reading Contest. The eighth-grade band holds a 20 year-in-row win in concert and for 19 out of the 20 years, they have achieved Sweepstakes. Together with the 7th-grade band, they earned 12 superior ratings this year. This is a special group of students destined for even greater successes in the future! 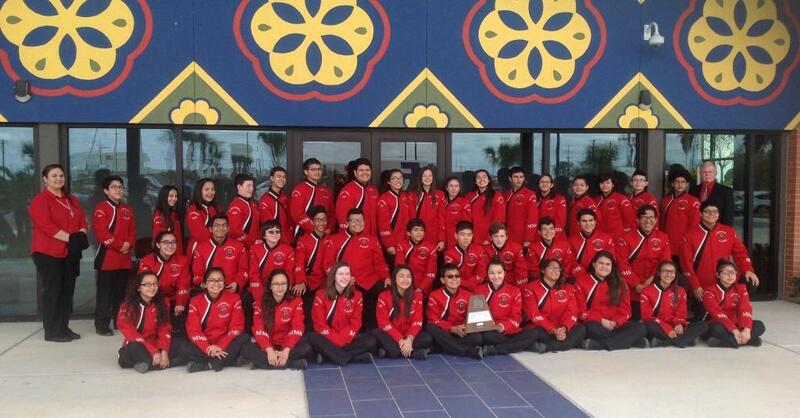 The 20 years in a row of Superior ratings and 19/20 Sweepstakes were made possible by the many advantages available to our music programs here in Harlingen CISD. Special thanks to Assistant Director, Julissa Garcia, also to Bob Young, Dennis Lester, and David Sinclair. I also want to thank our low brass consultant, Mike Barajas.